Very good detail levels, high quality parts, and accurate shape. 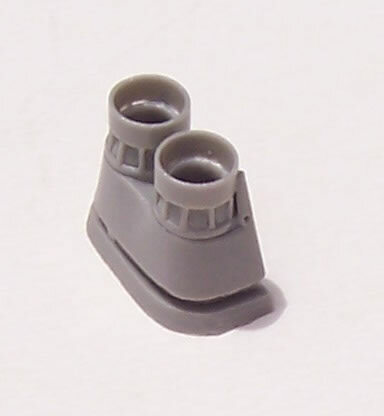 Nose wheel leg is too compressed and chunky, and no clear panel separating the two cockpits. Some little niggles aside this is a very nice kit overall, and produced to high standards. Derived from the Northrop F-5, the T-38 entered service with the USAF in 1961. Despite the similarity between the two, the T-38 has different engines and intakes, wings, nose undercarriage and speed brakes, plus no drag-chute fairing in the tail, to mention the most visibly obvious variations. It remains unusual as a trainer in that it has supersonic performance when most other jet trainers are sub-sonic. The upgraded T-38C remains in service with the USAF, and the T-38 has also served the Air Forces of Germany, Portugal, Turkey, Taiwan and South Korea. The T-38C is the result of an upgrade program to keep both improve reliability and reflect the avionics and systems found in the aircraft for which its pilots are being trained to fly. As such the C variant modified under the Pacer Classic Program (PCP) has a number of new internal structural improvements, different engines and intakes, a modern glass cockpit, GPS, HOTAS (Hands On Throttle And Stick), TCAS anti collision device for added safety in dense air traffic situations, inertial navigation, radar altimeter, tactical air navigation system, a HUD plus various other features. The T-38 had not been well served in 1/72 scale for many years. The only previous kit in this scale that I’m aware of is the old Hasegawa kit which in many ways more closely resembles an F-5. 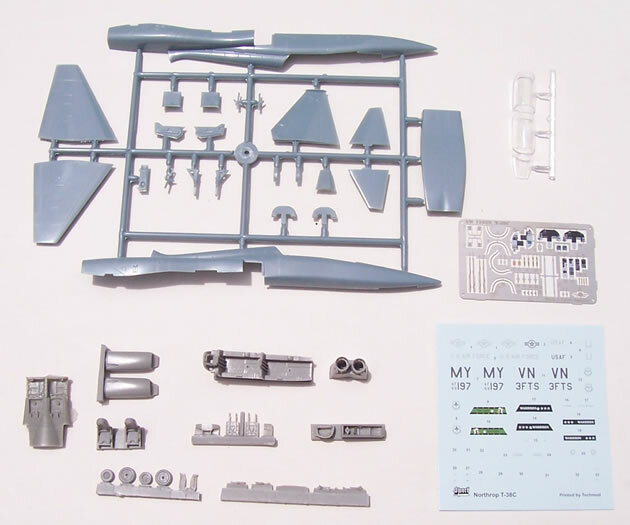 About two or so years ago Sword came to the rescue with an accurate and highly detailed multi-media kit of the T-38A. 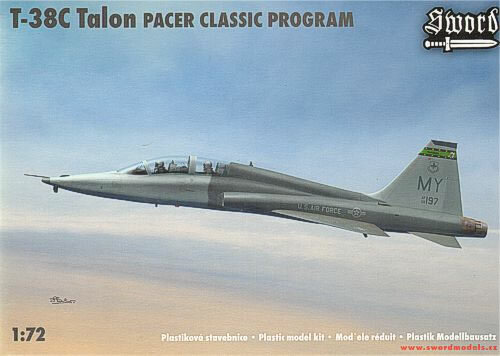 I’m sure many will welcome their release of a modified and updated kit reflecting the latest T-38C version. I have numerous Sword kits, and this one is quite typical in that the plastic has a more shiny finish than many other Czech brands. All parts are quite cleanly moulded with very fine engraved surface detail. 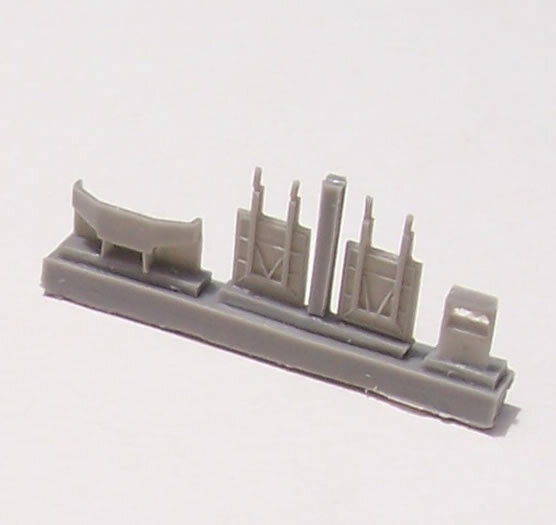 Sprue gates are narrow. 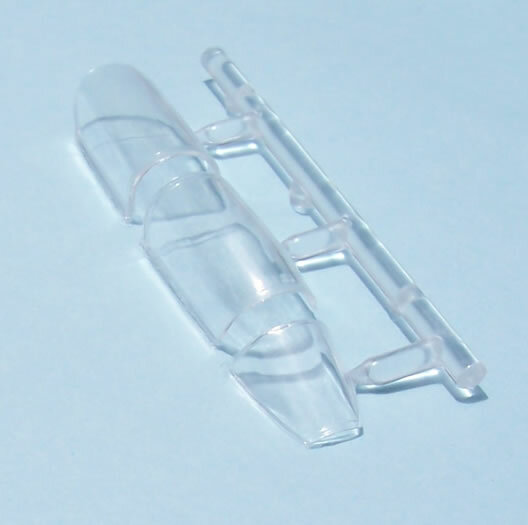 The resin and PE parts are also produced to high standards. The cockpit is very well catered for with a resin tub, joystick and ejector seats. The seatbelts, side panels and instrument panels are provided on the coloured PE fret. PE is also used for the pedals, HUD, canopy rails, bows and mirrors. Some of these items will be quite fiddly, and will need some real care in assembly. The clear canopy is injected, provided as three parts, and is quite thin in section. A light polish and dip in future will enhance what is already quite an acceptable appearance. 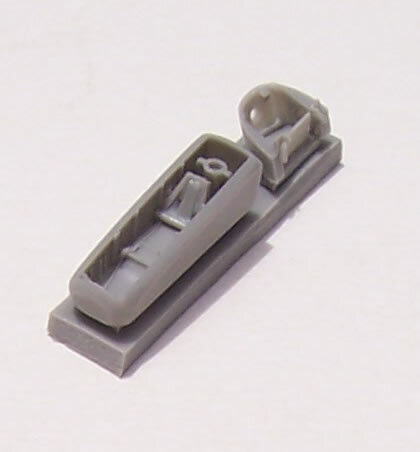 The ejector seats are lacking the triangular canopy piercers on top of the headrests, and the shape of the seats around the back of the headrests is not quite right, but can be corrected by comparison to photos. However this is a rather minor point. Also missing is the clear panel separating the two cockpits to protect the rear-seat occupant from ejector seat blast. 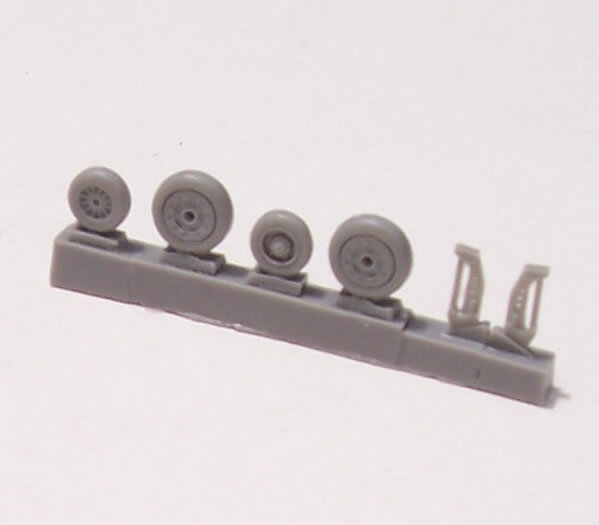 The undercarriage legs are styrene, the main legs look okay, but the axle holes in the resin main wheels are cast on the wrong wheel face. 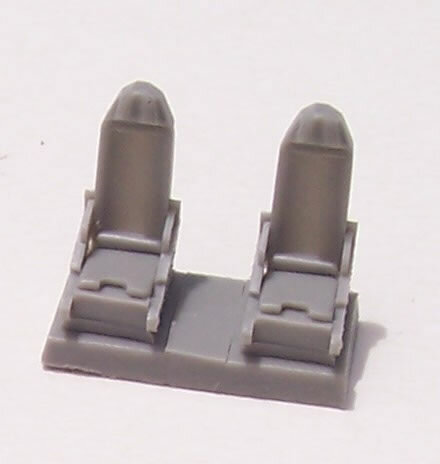 These will need to be drilled out on the correct side and the original hole filled with rod or sprue. The front leg looks too chunky and the oleo is far too compressed. At the very least some of this compression will need to be adjusted out for the right sit, but I’m inclined to think a scratch-built thinner nose leg would be worth the effort. 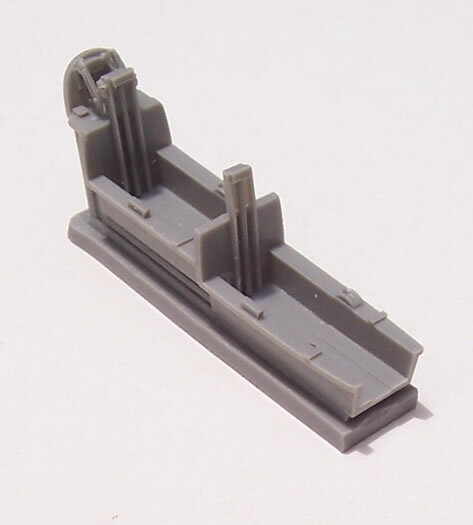 This criticism aside, there is a nicely detailed resin nose wheel bay, and there are two patterns of nose-wheel, so make sure you use the right one for the aircraft you are modelling. Construction sequence and parts breakdown is generally conventional for the type, with but joints throughout. The rear fuselage is catered for by three parts. The first is a resin section incorporating detailed main wheel and speed brake bays. 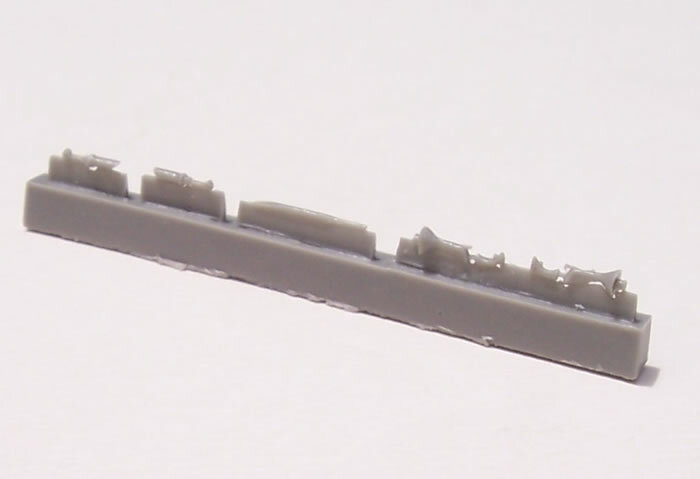 The second portion in styrene is the remainder of the rear fuselage underside from the wheel bay to engine nozzles. 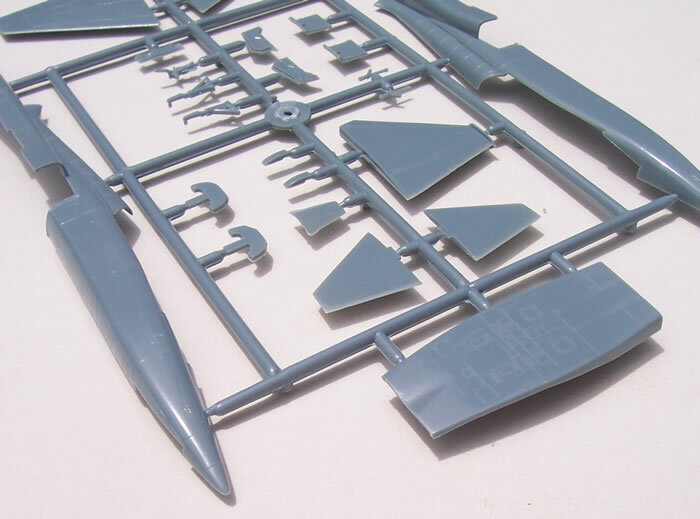 The last part of the rear fuselage is resin and includes the different afterburners associated with the T-38C. 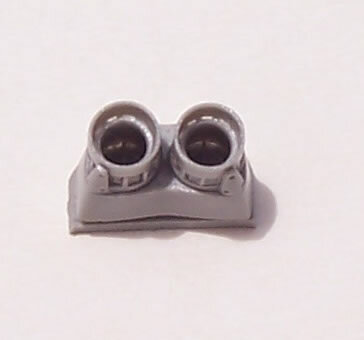 Deep seamless resin intakes are provided. 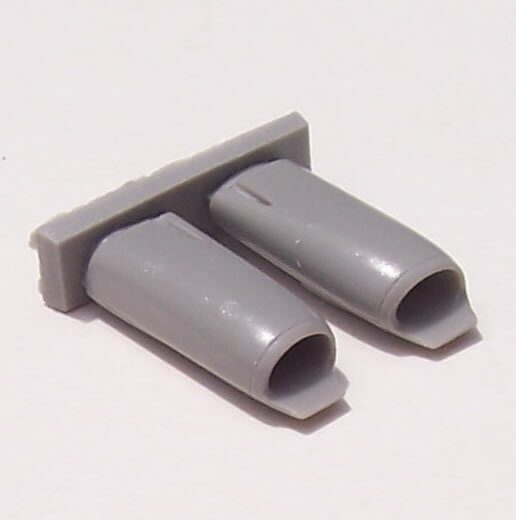 I compared these to my Sword T-38A and noted that the T-38C resin intake sections were considerably longer, with a correspondingly shorter section of styrene intake. This obviously meant more work for Sword, but top marks to them for going all out to capture the look of the C’s different intake trunking. One thing to note, as a small diagram in the instructions does, is that whilst the wings are at 90 degrees to the fuselage the horizontal stabilisers have 4 degree anhedral. 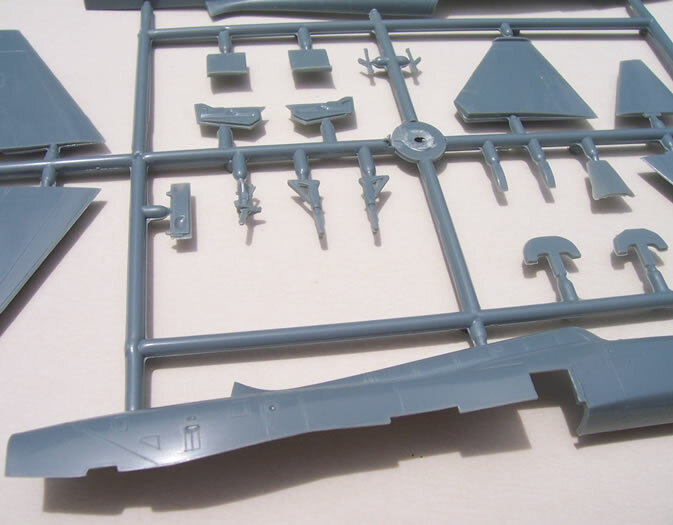 I did notice that parts map shows parts 23-28 as being on a small linear sprue. These parts cover various blade antennae and some presumably avionics lumps and bumps. 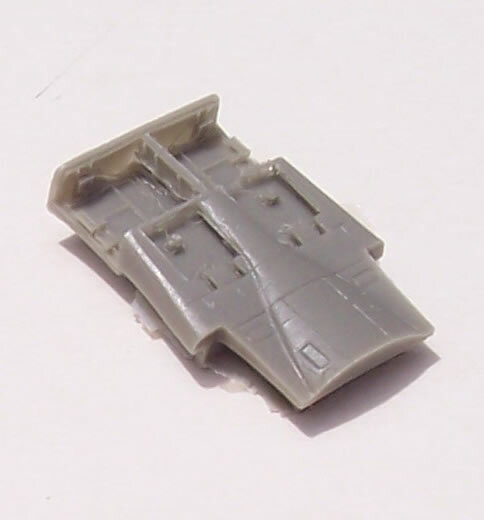 A quick check of my Sword T-38A shows that this sprue is unique to the T-38C. 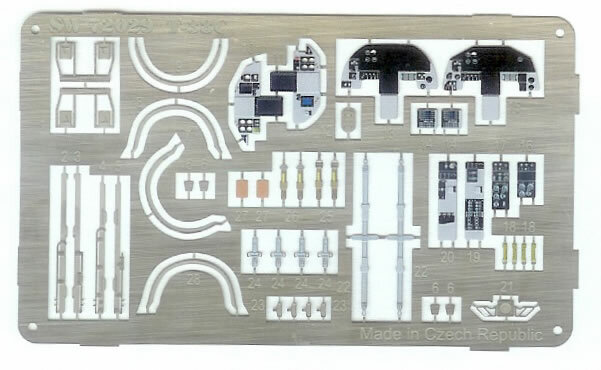 These are all very small parts, and unfortunately were missing from my example. If there’s a downside to this kit it’s that the colour schemes are rather boring in my opinion, but we have the USAF and not Sword to blame for that! Two decal options are provided. 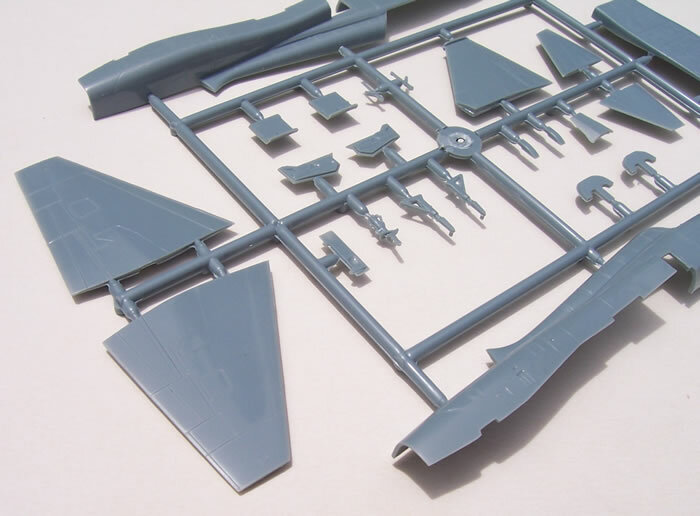 One includes decals for a travel pod, and this is illustrated in the decal and painting guide, but nowhere else in the instructions, and nor is one provided. Otherwise the decals look to well printed and should prove fine to use. Despite the odd quibble and a few missing small parts, this is a really nicely engineered kit that is produced to high standards. It has the potential to produce a very good model of the T-38C. Definitely recommended. Thanks to Sword Models for this review sample.